The Heel Clinic specialises in acute and chronic heel pain including Plantar Fasciitis, Heel Spurs, Severs and Achilles Tendonitis. Most Clinic patients have already tried: Anti-inflammatories, Rest, Cortisone, Stretches, Massage, Arch Supports, Shock Wave therapy “…many other treatments. This can lead to a “treatment resistant syndrome”. Meaning, patients become sceptical of any treatments. Heel Clinic data from 15,000+ patients indicates clearly it is essential to treat the source/cause as well as symptoms. See below. 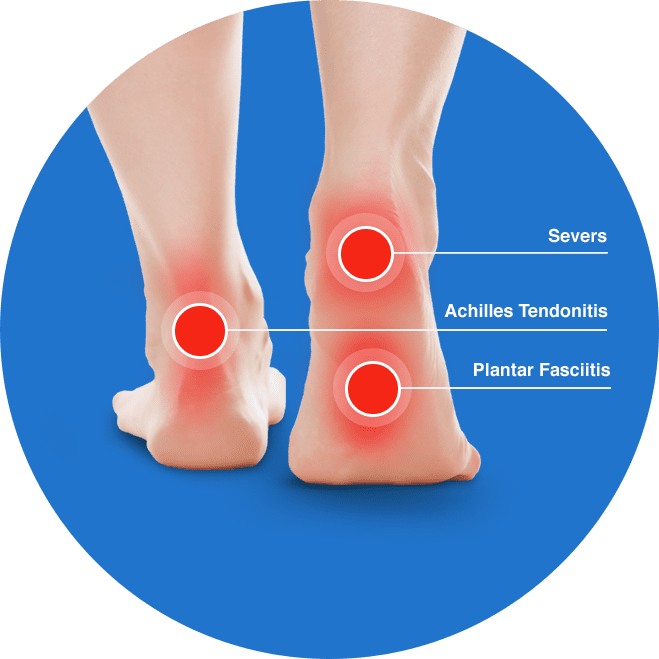 The Heel Clinic has specialised in treating foot, ankle and heel pain ailments such as Plantar fasciitis, Severs and Achilles tendonitis for the past 15 years. Some years ago the Heel Clinic made significant breakthrough in our diagnosis and identification of the underlying cause of constant heel pain. In many cases it is a weight bearing structural problem with the foots inability to support body weight. There is a mistaken belief that walking, running, working, being overweight, old age etc are causes of heel related pain. Clinic data shows these are more “contributing factors than (not then) cause. Below is a list of symptomatic treatments currently available in Australia for Heel pain. The Heel Clinic’s extensive database and overseas research clearly indicates poor or no proven short or long term success with these treatments. Many can aggravate pain. 98% have visited a doctor (79% given cortisone), 78% Physiotherapist, 71% General Podiatry (65% prescribed arch supports), 18% Chiropractors, 5% Orthopaedic Surgeons, 25% self-treated. Many patients have visited multiple practices seeking relief just to have the pain repeat again. There is much misleading and conflicting advice around Plantar fasciitis. In most cases it is a micro-fibre tear in the band of supportive tissue attaching the forefoot (toes) to the Calcaneous (heel bone). 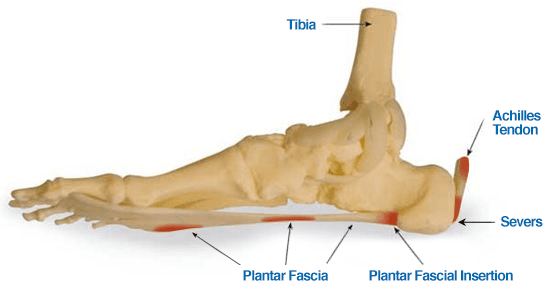 Therefore if you stand, walk or run you will further aggravate a plantar fascial tear. Treating pain only does not always address cause. Using advanced bio-engineering the Heel Clinic treats source/cause using the exclusive ICT method. The Clinic’s prime objective is to treat the source of heel pain providing not just short-term relief, and prevent reoccurrence. This is achieved by applying the Clinics exclusive ICT method of treatment. Together with specific individual programme provided by the Clinic. Clinic data has shown us conclusively long term heel ailments are mostly associated with calcaneous (heel bone) position through the walking gait. This creates a “chain reaction” of forces and loads causing overuse pain. Resulting in Plantar fasciitis, Severs and Achilles pain being predominantly an angulated heel position issue, not ligament, tendon or arch problems. Please fill in the form below and one of our team will get back to you to make an appointment.